Tot nu toe met alle k's houses een groot succes en in Hiroshima niet minder! Nette kamers, fijne ligging en vriendelijk personeel! Zeker de moeite! Great hostel with super friendly staff that were always willing to help out. Very clean kitchen for everyone to use and really comfy beds and common area. Very close to the train station and lots of convenience stores:) Would definitely stay there again! Niets op aan te merken. Perfect hostel. 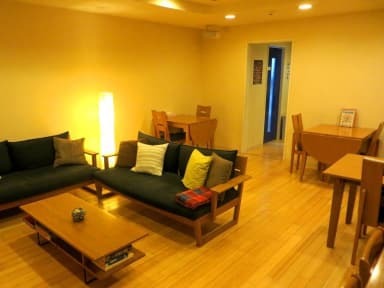 A very homelike and comfortable hostel. Within walking distance from the station. The staff is very helpfull, skilled at Englishand will happily have a nice chat with you as well. Definitely recommended for everyone. 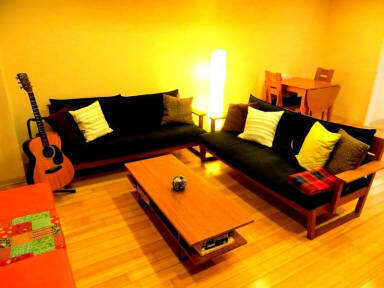 Thank you K's house Hiroshima for making the start of my trip to Japan wonderfull! Friendly staff, good location and a nice atmosphere. Rooms are a bit small. Very nice place, the staff is so kind and nice! It is located near to the station and to reach the city center takes a 15 min walk. A 7-Eleven is closeby. Best value for money in all of Osaka. For a competitive hostel price, you get not only a large cabin bed, but also free bike lending and a simple breakfast of 2 toast slices with coffee or tea. Add to that the hip interior and friendly staff and you've got a great hostel. The staff was indeed friendly overall, but sadly, one staff member was rude to me during my check-in. She aggressively blamed me for having wrongfully booked a female bed. Afterwards, this even proved to be false. Clean and cosy hostel. Staff was very friendly and spoke perfect English. Lots of activities in the surrounding area and close to the station.